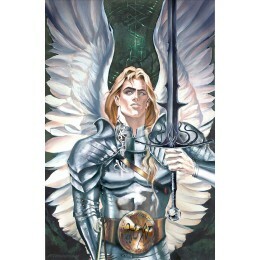 Michael-Lord of the Host is an adapted piece I painted for Barnes & Noble for The Book of Angels. It is an Open Edition print. 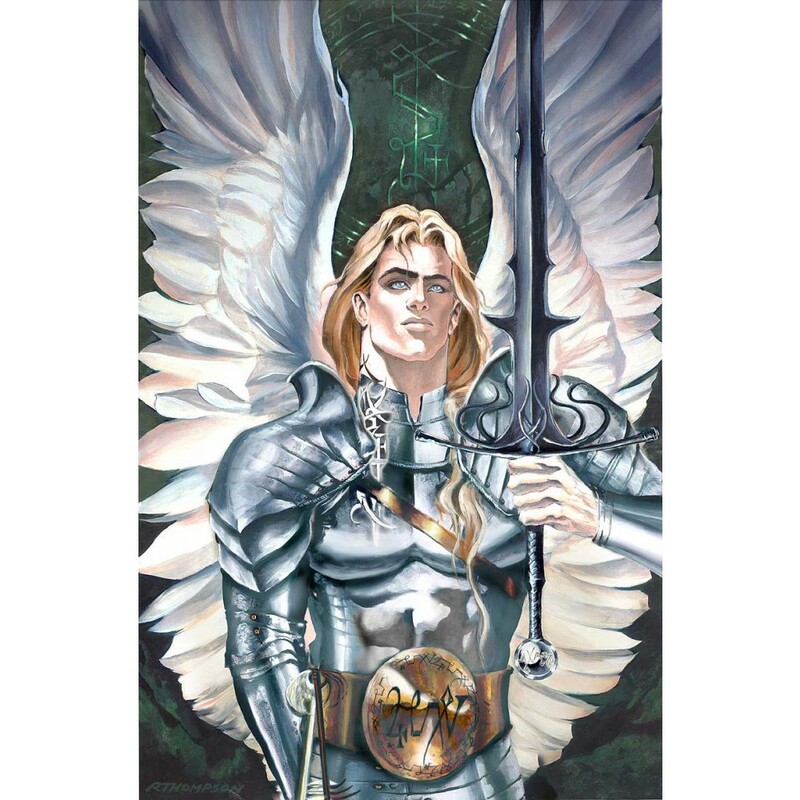 As God's Champion, Michael is the hero of the First War in Heaven as seen in the Dead Sea Scrolls. His name means "Who is as God" and his Greatsword was known as God's instrument on earth.